#Istandwithnigeria gradually changed to #Istandwith2baba since Tuface started fronting the campaign. 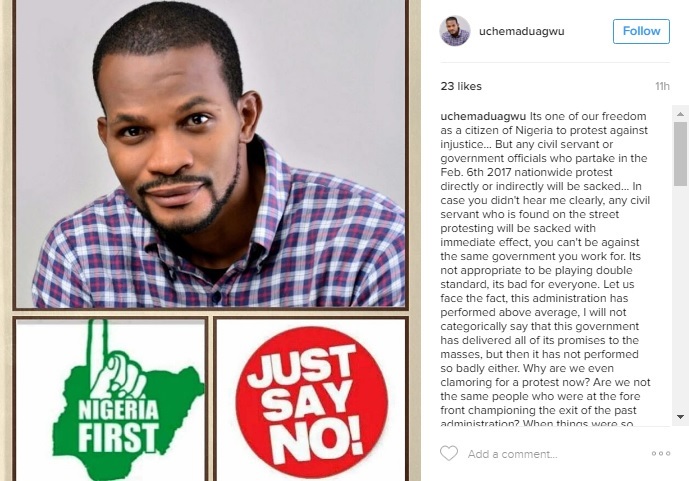 Their popularity has woken Team Buhari up, whom are now planning their own protests on 5th & 6th of February supposedly side by side with Team 2face. #StellaDamascus does not support the Feb 6 protest – – – In an Instagram live video, Stella said the time spent protesting can be used in doing other productive and meanungful things that can better the life of others. 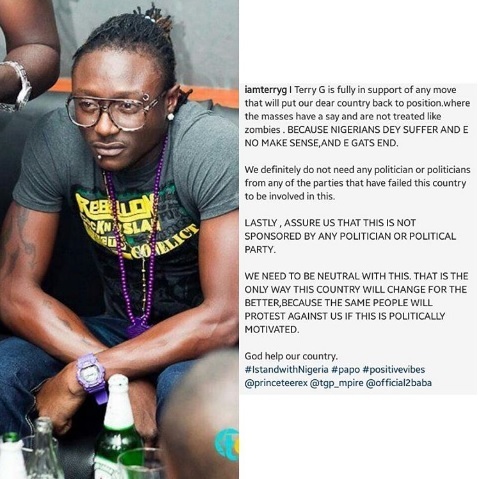 …And Terry G comes out in support. 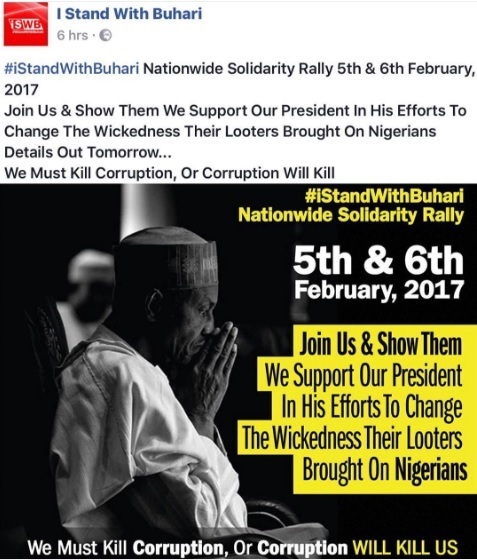 UK Nigerian, Worldwide Teams #Istandwithbuhari and #Istandwith2baba to rally on same day Bookmark the permalink.